Mailchimp Newsletter Hawkes Bay are one of the most cost effective email marketing tools for small businesses. MailChimp Newsletters Hawkes Bay is affordable, easy to work with and reliable. Further, MailChimp out performs its’ competitors and allows you to successfully and efficiently market your business by offering capabilities that you couldn’t perform on your own. When it comes to effective email-marketing, look no further than MailChimp. 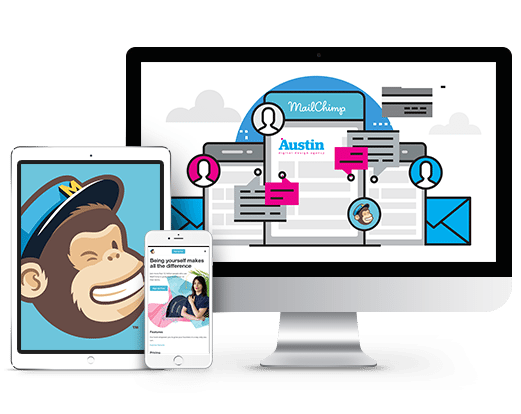 MailChimp Newsletters Hawkes Bay is the partner that every small business needs, streamlining the process of anything mass email related. As the world’s leading platform, MailChimp newsletters Hawkes Bay plays an integral role in growing small business around the World. With MailChimp newsletters Hawkes Bay it is also possible to track opens, engagement and bounce rate. Helping us to tailor your next campaign in order to attract more business to your site.